Based on the TEDTalks model, these lively happy hour events feature compelling short talks and Q & A on a wide range of issues impacting public education and our young people. Find upcoming EDTalks on our events calendar. Do you have a speaker or a topic to recommend for a future EDTalks? Share it with us today! Are education reporters making the grade? Is working with the media #worththecost? When Do You Stop Being a Refugee? 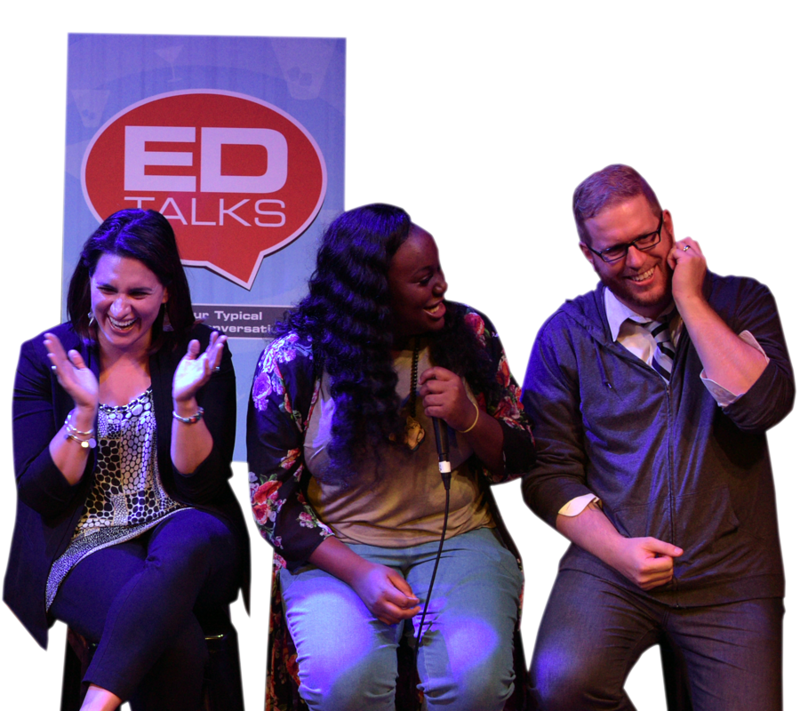 Watch more EDTalks and EDTalks extras on YouTube! The Bush Foundation invests in great ideas and the people who power them in Minnesota, North Dakota, South Dakota and the 23 Native nations that share the geography. It works to inspire and support creative problem solving – within and across sectors – to make our region better for everyone. The Verne C. Johnson Family Foundation supports activities in the areas of education, youth and mentorship. Verne is a former Citizens League Executive Director and his children wished to honor their father's commitment to the organization over his long life. Watch this video message from the Foundation.